Testicular cancer is one of the rarest types of cancer, accounting for about 1% of cancer cases for men. 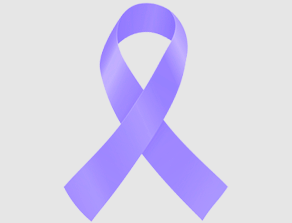 Although this type of cancer can occur in men at any age, it is the most common in men ages 15-35. In fact, it is the most common type of cancer for men in this age range. An estimated 8,850 new cases of testicular cancer will be diagnosed in the U.S. in 2017, with more than 410 deaths expected to result from the diagnosis. The lifetime risk for developing testicular cancer is about 1 in 263. Thanks to early detection and advanced treatments, only approximately 1 in 5,000 men will die from testicular cancer. Many men who develop testicular cancer have no risk factors at all. However, certain conditions such as undescended testicle(s), abnormal testicular development and a family history of testicular cancer may increase the odds of developing testicular cancer. In addition to specific projects listed below, genomics research is helping us attack testicular cancer – and all types of cancer. NFCR has distinguished itself from other organizations by emphasizing long-term, transformative research and working to move people toward cancer genomics. Harold F. Dvorak, M.D., discovered that tumor cells secrete a vascular endothelial growth factor (VEGF) and this seminal discovery provided the molecular basis for the field of angiogenesis (meaning “blood vessel formation”). Angiogenesis makes it possible for tumors to grow and spread, and Dr. Dvorak’s discovery helped pave the way for research on anti-angiogenesis treatments that can halt and even reverse tumor growth. In 2004, the first VEGF-targeting anti-angiogenic drug Avastin® was approved by the FDA for the treatment of colorectal cancer, and, today, in addition to colorectal cancer, Avastin is approved for the treatment of non-small cell lung cancer, renal cell carcinoma, the aggressive brain cancer glioblastoma multiforme (GBM) and certain types of cervical and ovarian cancers. More than 280 clinical trials are currently investigating the use of Avastin in over 50 tumor types including a Phase II trial for patients with choriocarcinoma, a rare and aggressive type of testicular cancer.